I’ve mentioned it before that you don’t need a fancy telescope and tracking equatorial mount to get into astrophotography. Simply a camera on a tripod with a short focal lens can do wonders, especially with the high ISO settings in new cameras. A single 10 seconds exposition can reveal lots of stars, however to capture more photons a longer exposure is not better as the stars will become streaks. But one can easily improve the image and get better signal/noise ratio by stacking multiple images. However, there is one drawback to stacking multiple exposures if you decide to also capture the landscape: Earth rotates, therefore the sky moves while the landscape stays still. 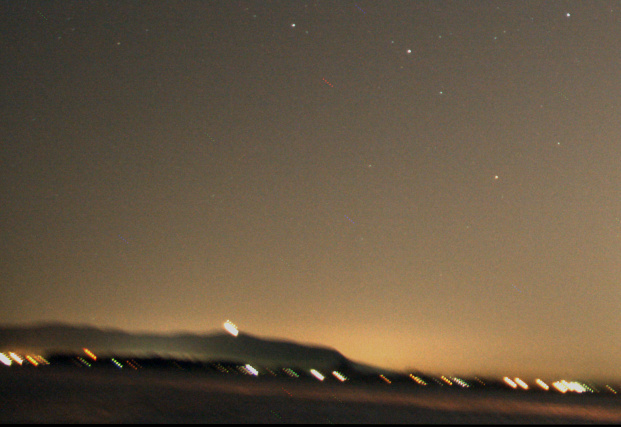 If you align the images using the stars, then the landscape becomes a blur. Not the end result that we want. Luckily a quick composition with two layers and a mask solves everything. In order to improve my signal, I worked with IRIS to align and stack 5 frames, this reveals many more stars, but also amplified the light pollution. Aligning and stacking 5 images. More stars appear. Luckily within IRIS there is a function to remove sky gradient. The algorithm takes a series of sample points and attempts to make the sky uniform. Not bad, the images are not a hopeless case. 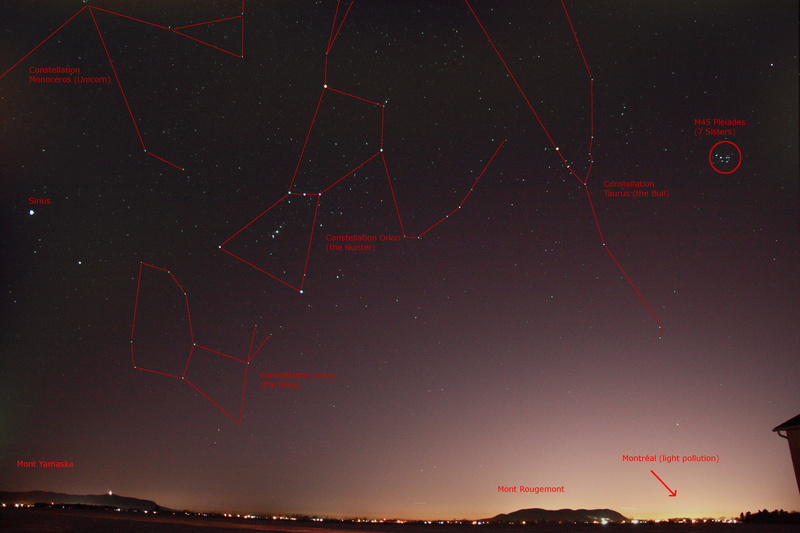 As mentioned above, the alignment was performed with the stars, hence the background is now blurring. Below is a close-up. But when aligning on stars, the landscape blurs. Load into your base layer one of you single frames. This is what will be used for the landscape. 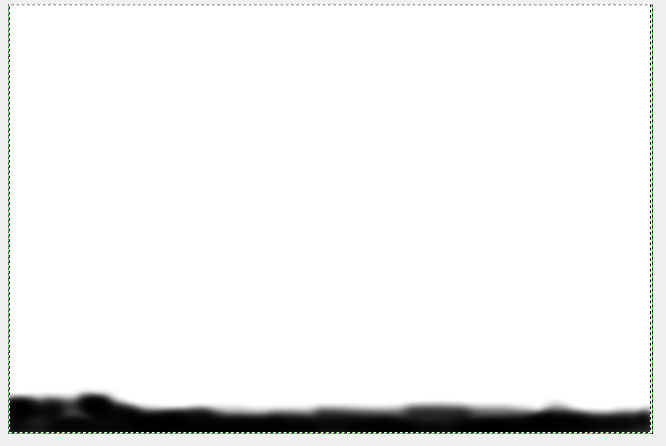 Load into a new layer your stacked image. 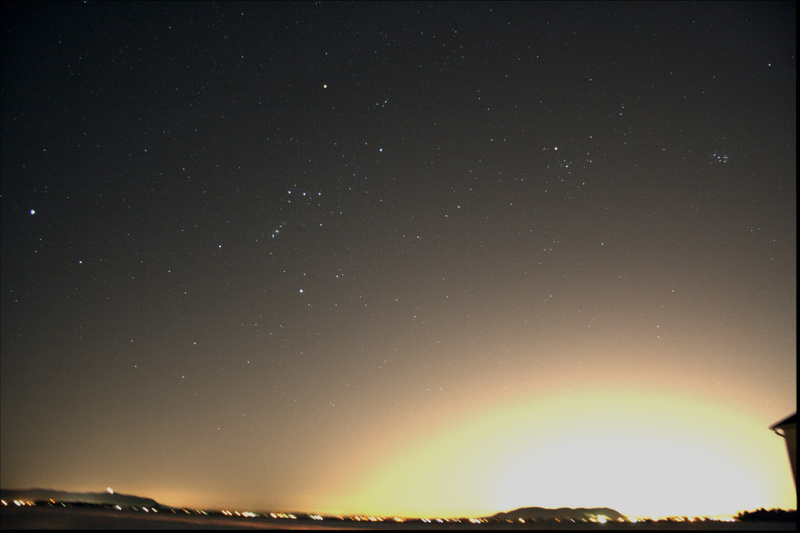 As your stacked image contains more and brighter stars select to Lighten Only instead of normally adding both layers. You can play with the brightness of the stacked layer, and/or darken the base layer to get the desired blending. Create a mask to the stacked layer such that the blurred landscape is not permitted to show through. See image below, I simply grabbed the airbrush and blackened the landscape area in the mask such that it will not show through the layer. Note that the I only edited the mask, not the image itself. 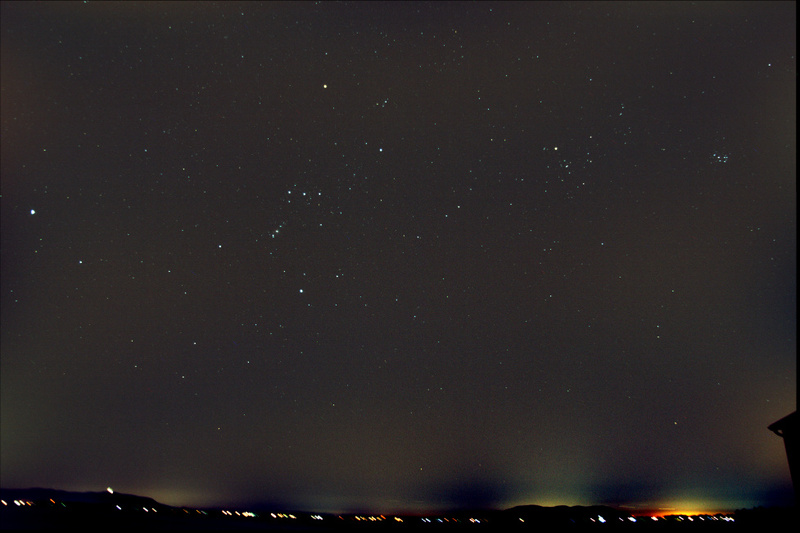 The end result, is improved image of the sky, and a landscape that is still sharp. Below is a comparison the composition with stack and layer (left) and a single shot (right). We are able to achieve both of our goals of getting more stars (more signal) while keeping the landscape from becoming a blur. And why not take some time to identify some key features in the image. This entry was posted in Image Processing, Photo and tagged Astrophoto, Astrophotography, Constellation, GIMP, Image Processing, Night Sky by Benoit Guertin. Bookmark the permalink. Hurrah, what a quality it is! Since mostly YouTube video tutorials have no pleasant feature, but this is in fact a fastidious quality video.